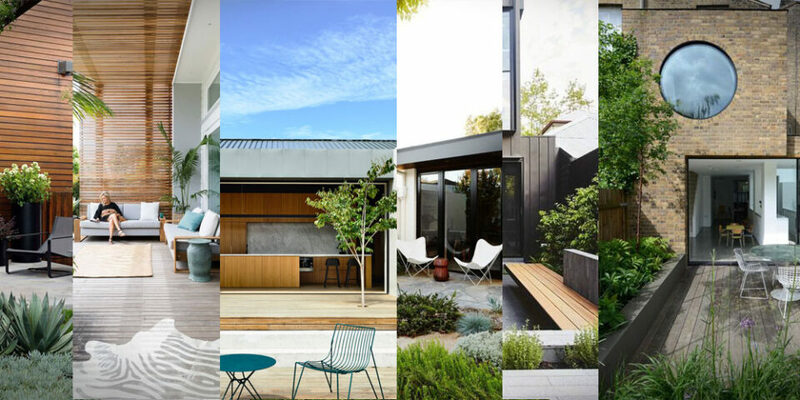 Contemporary garden design is big now and there are people the world over implementing their own style. 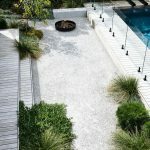 It is amazing how many designers can input their own touch on garden design and it stand out as uniquely them. When looking for images for this article I was looking for designs that echoed the straight lines of modern English designers like Charlotte Rowe but what I found was many different styles, all that I liked but all a bit different. I love here how Paul Marie has highlighted all the edges with night lights. It’s a refreshing change to night lighting that usually up-lighting but the linear effect adds an interesting dimension. 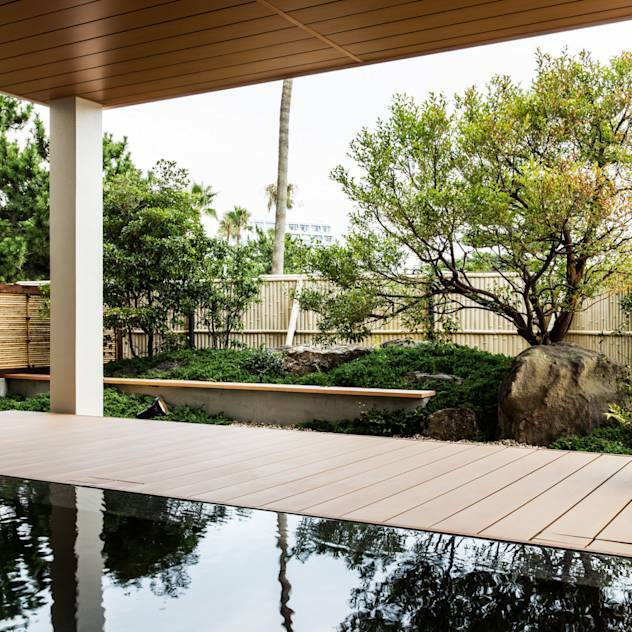 This design from Japan was hard to show because a lot of the shots were from inside but the garden runs around the outside of the house and the contemporary design has a distinctly Japanese feel. Funny that because the design studio is in Osaka. I’ve learnt the Dutch are pretty damn good at contemporary design and follow closely to the Scandinavian. 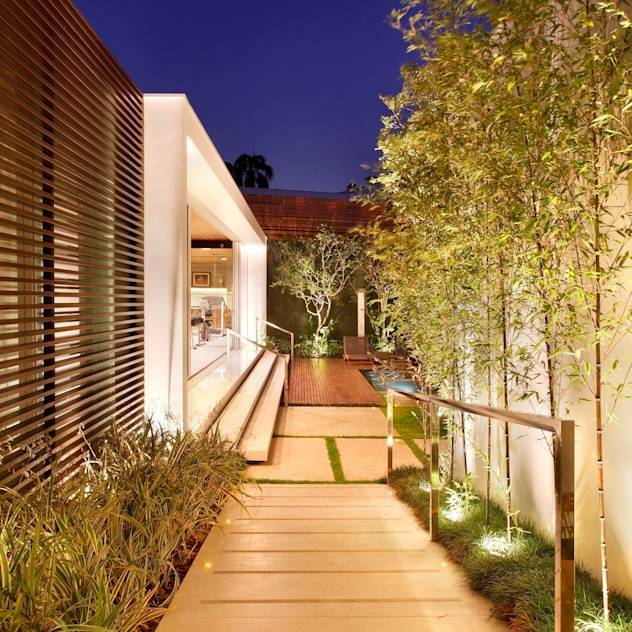 This long linear path leads to a pool and simple pergola. 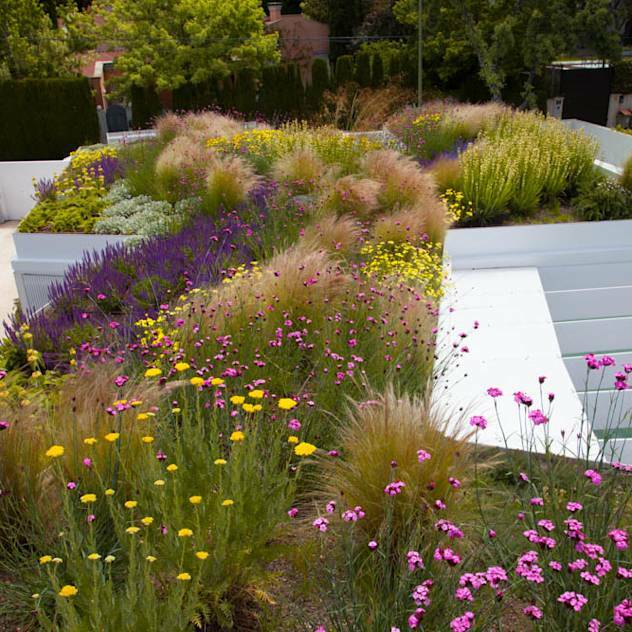 Whilst the design is not full of colour I like the natural aspects and maximising lawn space so it can actually be used. 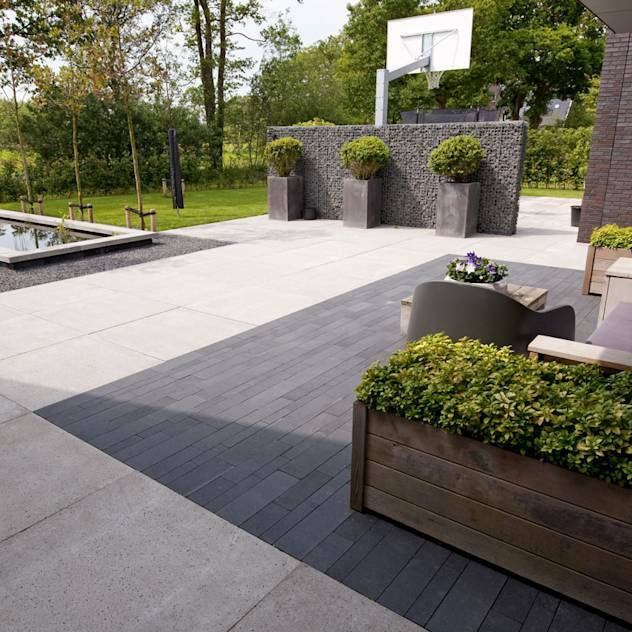 It may sound obvious but a lot of garden designers forgot to remember the purpose of usable outside space. 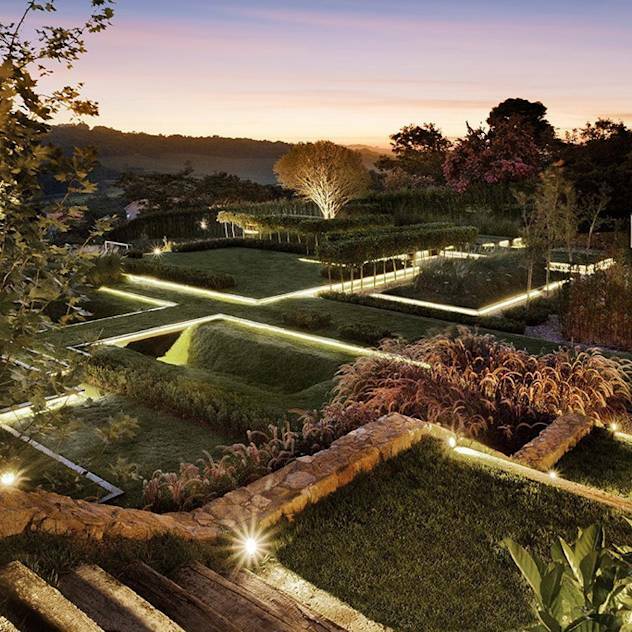 This image was from a selection of photos from a garden design but was the most striking of them all. 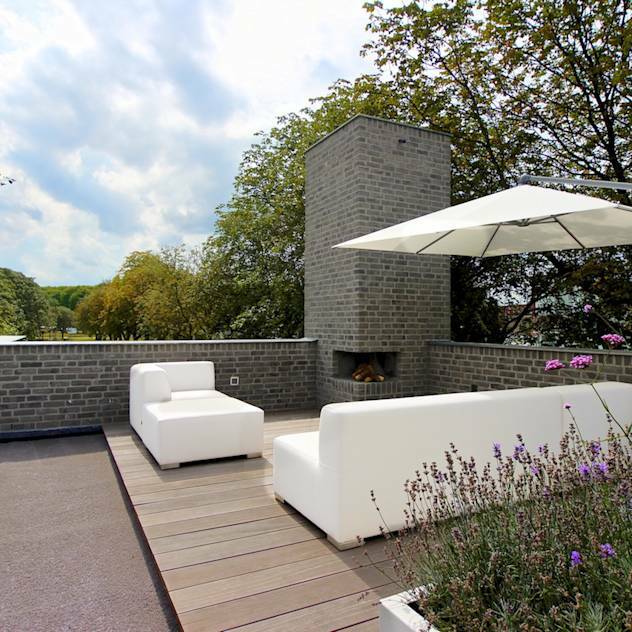 Again the designers remembered that the garden needed space to be enjoyed and the house opens up to become at one with the garden. Wonderful lighting as well. 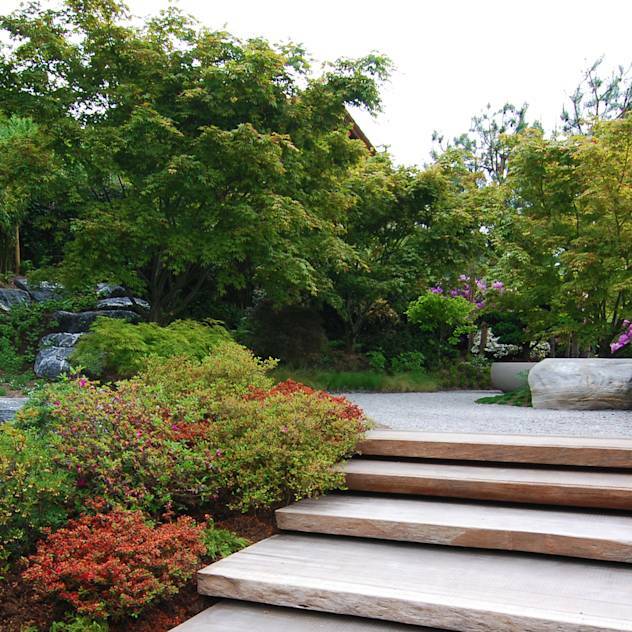 Taking inspiration from Japan this outdoor space is a mix of paths and planting, gravel and stone. On solitary pot holds a tree that raises the plant to a different viewing level and the overall design is one that lets the owners wander round and find different seating places. Atop a building with a view lies this sprawling terrace which was so well designed that I only realised it was on a roof when I saw over the edge. A large space helps and the meandering roof layout adds interest but still, stand alone this design has the simplicity and integration to make a beautiful and usable space. 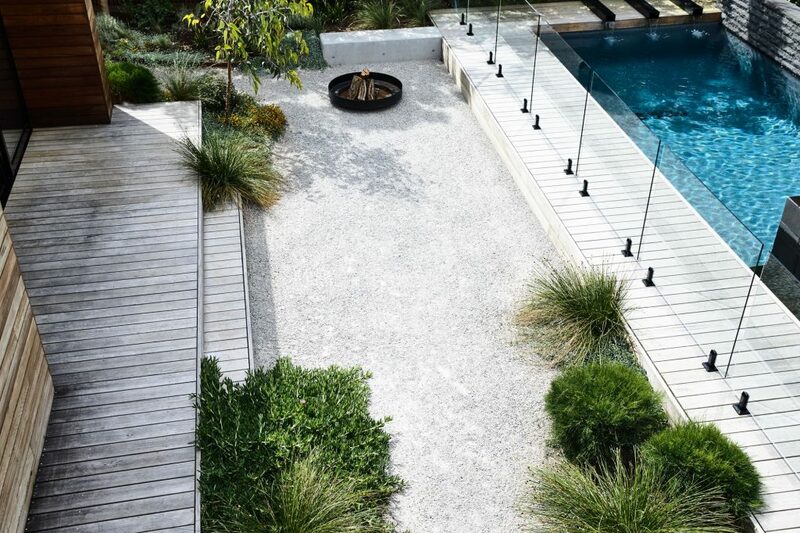 Many of the garden designs I came across boasted swimming pools, even those house holds with children which was nice to see. Often when children are around the default is to remove any water, certainly in England anyway. I guess that’s because in England we assume children should not learn by making mistakes or be allowed freedom because they get stolen. Not always true and these types of designs are a great example of how it can work. 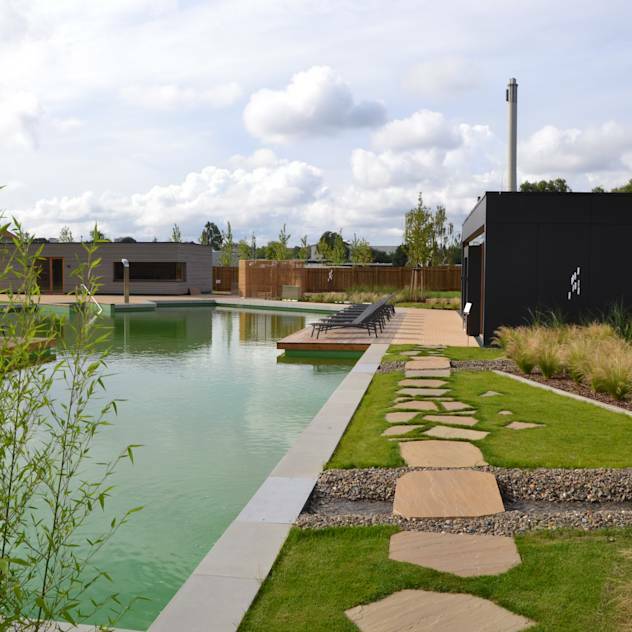 Again another pool and nice to see a planter in this landscape. It’s placement bringing plantation to a different part of the garden and linking the separated deck into the rest of the design well. 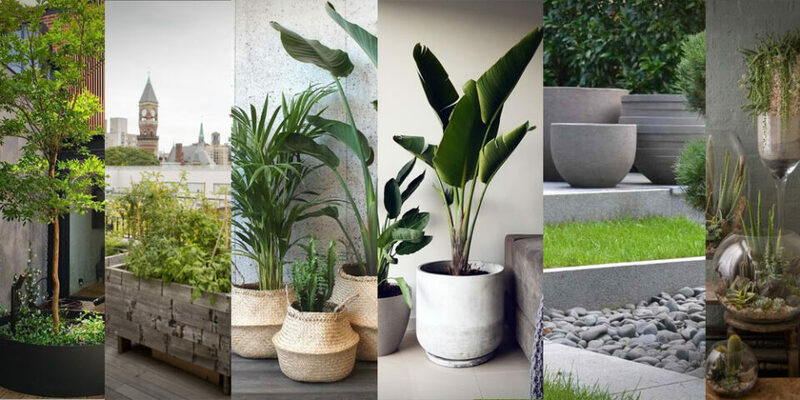 It’s a very simple contemporary planter and blends into the landscape elegantly. This is one of my favourite designs of the lot. 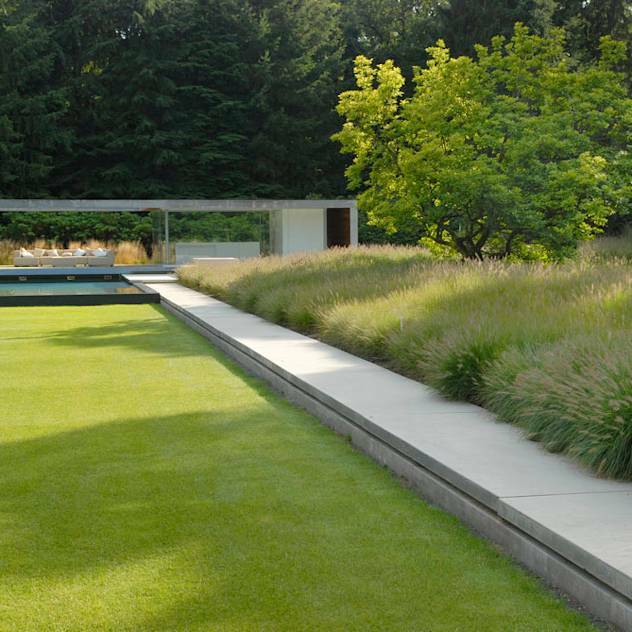 I love the combination of the grey stone and green grass and the linear design of planters and landscaping. The use of a gabion wall to separate the garden and introduce new social spaces works well and in this case hides a basket ball court.